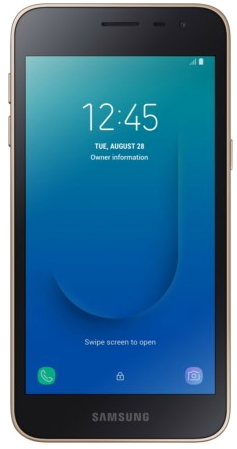 Samsung’s first Android Go phone, the Galaxy J2 Core, may be headed to the United States. It was initially launched in Malaysia and India earlier this year. Since it’s a budget device it’s likely that the Galaxy J2 Core may only be offered by prepaid carriers in the country. Some certifications have been spotted which suggest that the Galaxy J2 Core could soon be launched in the United States. It runs an iteration of Android Oreo that’s optimized for devices with 1GB of RAM or less. Contrary to popular belief, a stock Android experience is not guaranteed for Android Go devices. 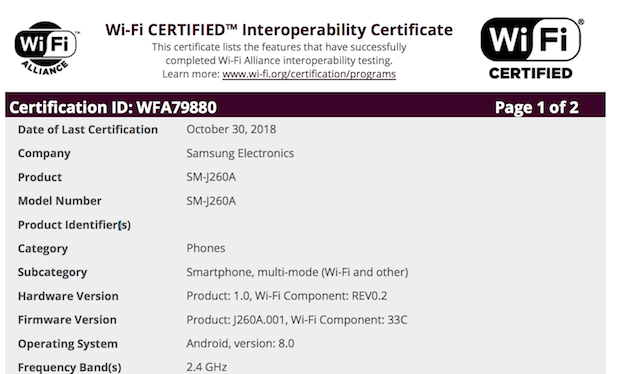 The Galaxy J2 Core bearing model number SM-J260A has received its Wi-Fi certification. The Federal Communications Commission has also certified model SM-J260T. It’s thus likely that the handset may be available from Cricket Wireless and Boost Mobile. They’re the prepaid carriers owned by AT&T and Sprint, respectively. This is an entry-level device with the specs to match. It has a 5-inch TFT 540×960 pixel resolution display and an Exynos 7570 processor. There’s 8GB of storage and 1GB RAM. The device also has an 8-megapixel rear and 5-megapixel front camera. The power is supplied by a 2,600mAh battery. The Galaxy J2 Core comes with fewer apps pre-loaded. It gets optimized versions of Google’s popular services which require less memory. Android Go also gets additional memory optimizations for an improved experience. Samsung is selling the Galaxy J2 Core for around $90 in other markets. That’s likely how much this device will cost when it arrives in the United States. Samsung and the carriers in question have not yet confirmed when it may be released.